Someone forwarded to me a newspaper article about Red Willow, http://www.mccookgazette.com/story/1655611.html . Apparently the U.S. Bureau of Reclamation is investigating dam repair alternatives at Red Willow and will decide what to do later this fall. Then if everything goes well, they will receive funding for repairs and that work can begin in 2011. What that means is that Red Willow will remain at its minimum pool level for at least another year and probably longer than that. 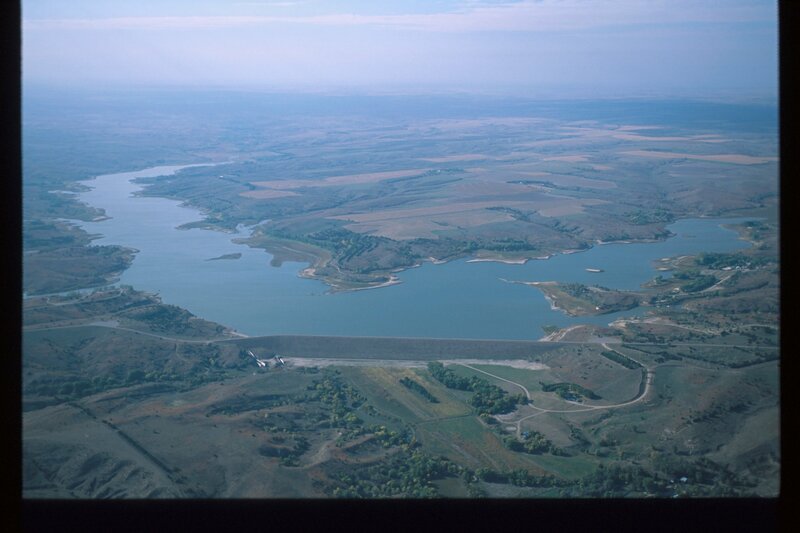 You can stay updated on progress here, http://www.usbr.gov/gp/nkao/redwillow/index.html . Now, just because Red Willow is at its minimum pool level, do not assume that the fishing is no good nor that the fishery is doomed. There is still water in Red Willow, I am sure there are less fish there now because there is less water, but there are still some fish to be caught and the reservoir can be fished. There is one boat ramp at Red Willow that has been extended/modified to allow the launching of boats. If you want to know what is going at Red Willow, then you have to check out Steve Lytle’s website, http://www.stevelytle.com/ . Steve is a professional fishing guide and has fished Red Willow for years; he holds our rod & reel state record for wipers, a 20-pound 1-ounce fish caught from Red Willow. Steve does an excellent job of keeping his website up to date and if you want to know how the fishing is on Red Willow or the other southwest Nebraska waters that Steve fishes, all you got to do is check his website. While I am talking about Steve . . . I have had the privilege of fishing with Steve a couple of times. I would consider Steve to be one of the very best sticks in Nebraska; he fishes hard and he flat out knows how to catch fish. If you ever want to employ the services of a professional guide, I would highly recommend Steve Lytle. Steve not only will put you on fish, he will teach you a lot in the process; he does not keep any secrets and is more than willing to answer any questions and tell you what he is doing and why he is doing it.